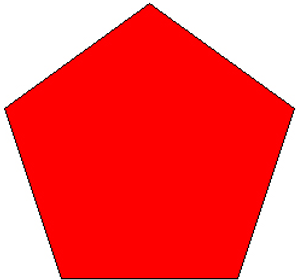 A polygon is a closed figure or shape with straight sides. 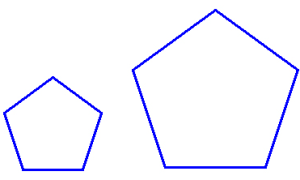 Examples of polygons are squares and triangles. A circle is not a polygon because it has no straight sides. 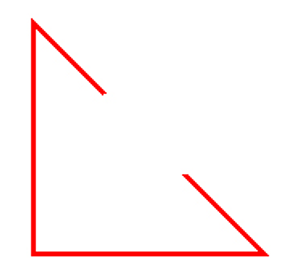 A quadrilateral has four sides. 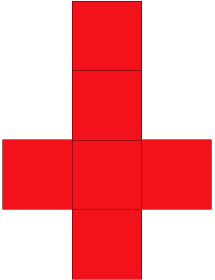 A square is a quadrilateral that has four right angles and four sides that are all the same length. A rectangle is a quadrilateral that has four right angles and opposite sides that are parallel. 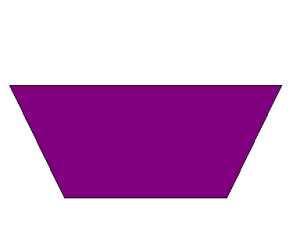 A parallelogram is a quadrilateral with opposite sides that are parallel and the same length. A rhombus is a quadrilateral with four sides that are the same length. A trapezoid is a quadrilateral with only two sides that are parallel. 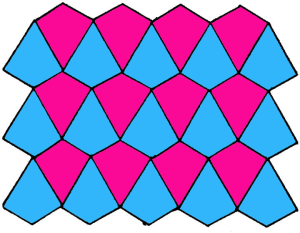 A pentagon is a polygon with five sides. 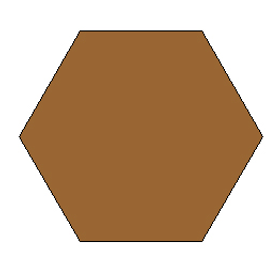 A hexagon is a polygon with six sides. 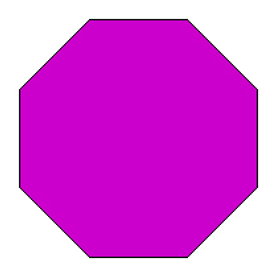 An octagon is a polygon with eight sides. Perimeter is the distance around the outside of a shape. Adding the length of each side of a polygon will give you the perimeter. People often need to know the perimeter of something. For example, if you are going to buy fencing to go around your yard, you will need to know the perimeter. 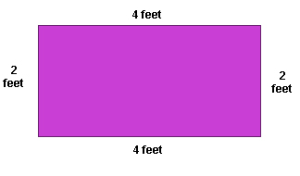 The perimeter of this rectangle is 12 feet. You can see this by adding the length of all the sides. 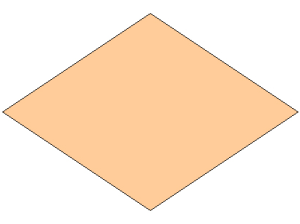 The area of a shape is the amount of space inside of shape. Because area measures the space inside, it is measured in square units of measure, such as square inches or square miles. If you need to know how much carpet to buy for a room, you will need to calculate the area. 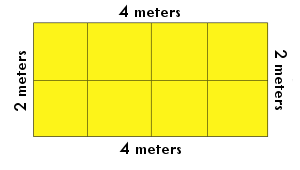 The area of this rectangle is 8 square meters. You can see this by counting the squares that fill the space. This picture shows a slide of a triangle. 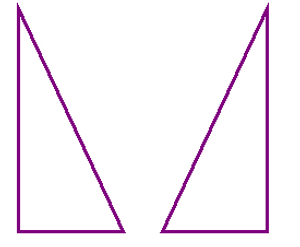 This picture shows a flip of a triangle. 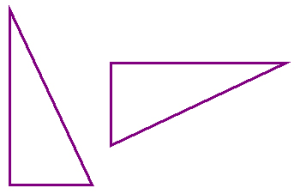 This picture shows a turn of a triangle. 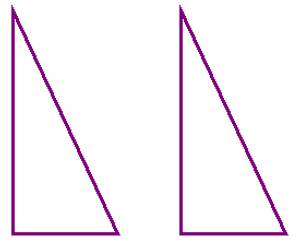 These shapes are congruent. They can be moved to be exactly the same. 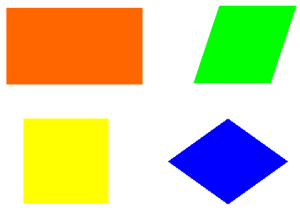 These shapes are similar. They are the same shape, but different sizes. 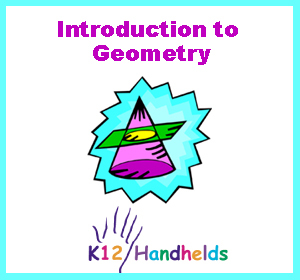 You can use the Tessellation program on your handheld to create your own tessellations. Three-dimensional figures are figures in space that have length, width, and depth. They are solid objects like a cube, a sphere, or a pyramid. Sometimes three-dimensional is abbreviated as 3D. 3D movies are called that because objects on the screen seem to jump out like three-dimensional figures. The sides of a three-dimensional figure are its flat surfaces. The edges are where the faces meet. The vertices are the corners or points where three or more surfaces meet. 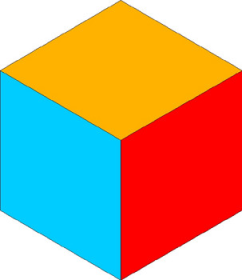 A cube is a three-dimensional figure with six identical square faces. All the sides of a cube are equal. All the faces are squares. Examples of a cube include dice and a block. 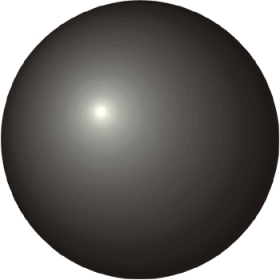 A sphere is a round three-dimensional figure. Examples of a sphere include a ball and the earth. 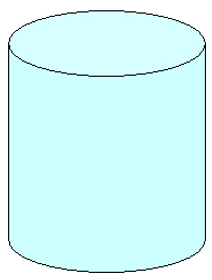 A cylinder is a three-dimensional figure with two flat circular faces. Examples of cylinders include a log and a drum. 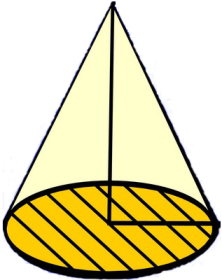 A cone is a three-dimensional figure with a circular flat base and another curved surface that goes up to a point. 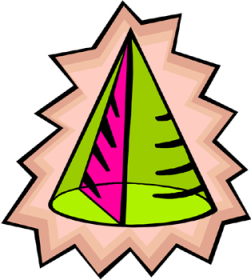 An example of a cone is an ice cream cone. 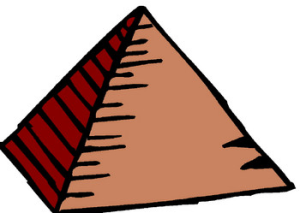 A pyramid is a three-dimensional figure with a flat polygon base and triangular surfaces that go up to a point. The ancient Egyptians built the famous stone pyramids in Egypt. A prism is a three-dimensional figure with two faces that are parallel polygons and other faces that are parallelograms. 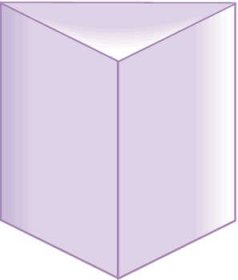 A rectangular prism has two parallel rectangles. 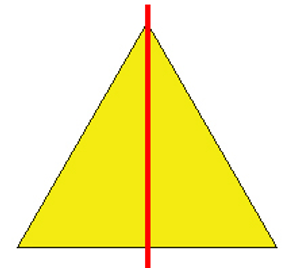 A triangular prism has two parallel triangles. An example of a rectangular prism is a box of cereal. 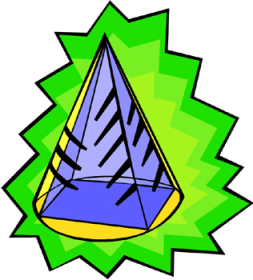 The kind of glass prism you might use in science to bend light is a triangular prism. This is a triangular prism. 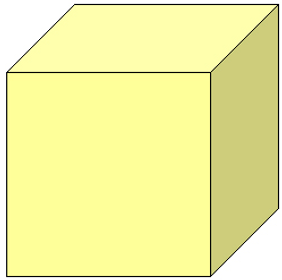 The volume of a three-dimensional figure is the amount of cubic space inside the shape. Because volume measures the space inside, it is measured in cubic units of measure, such as cubic inches or gallons. If you need to know how much water will be needed to fill a swimming pool, you will need to calculate the volume. base – the flat face on which a 3 dimensional figure can rest. edge – a line segment where two faces of a 3-dimensional figure meet. 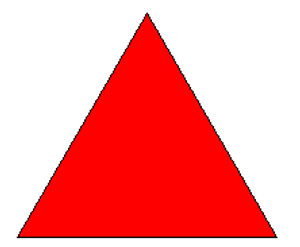 The red line shown here is the line of symmetry of this triangle. 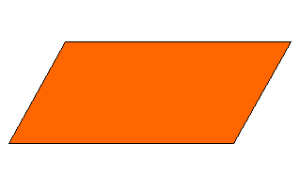 open figure – a figure that does not start and end at the same point. This is an open figure. It has a gap in it. The stone pyramids in Egypt were built by ancient Egyptians. 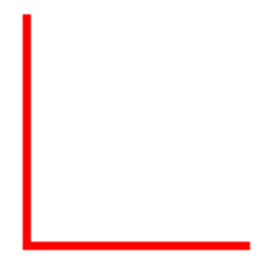 This is a right angle. It is exactly 90 degrees and makes a square corner. 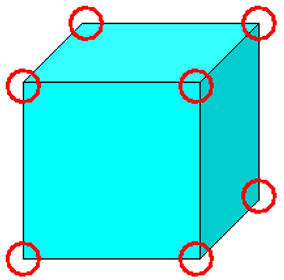 The vertices of this cube are circled in red.